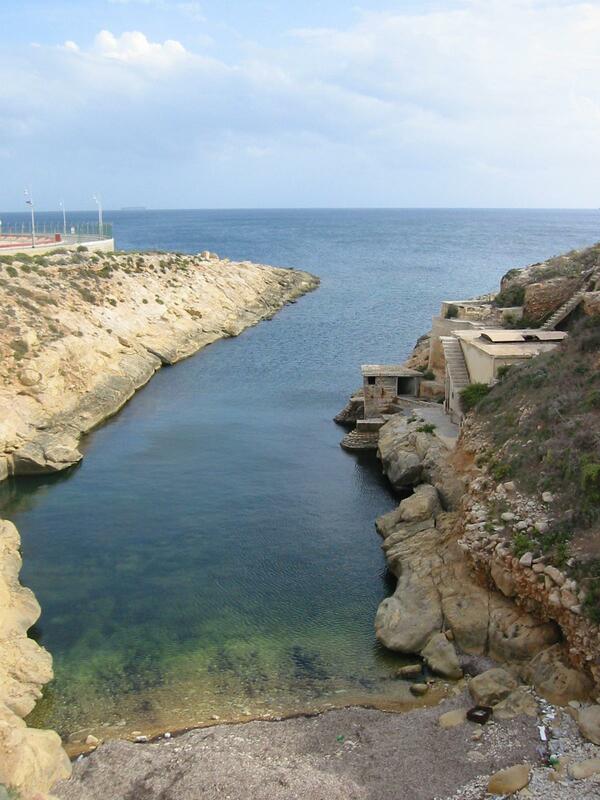 Benghisa Point dive site is located near Malta Freeport in Birzebbuga on the south coast of Malta. This shore dive starts in a narrow shallow inlet where depth is around 4 m and bottom is flat and rocky with gravel, gradually deepening. Outside the inlet, the seabed is covered with meadows of Posidonia seagrass, with interesting rock formations close to shore, including an arch on the right side of the inlet. Maximum depth of the dive is 20 m, found in a southwesterly direction from the inlet. Further out the seabed turns sandy. Visibility can be quite poor inside the bay. When diving Benghisa Point, entry is done either by a giant stride from a rather high concrete platform or sliding down from rocks, and exit is by climbing up rocks. Once out of the inlet, beware of the passing fishing and pleasure boats and carry a DSMB. There are occasionally quite strong surface currents in the area. Benghisa Reef is a boat dive site about 1 km off from Benghisa Point. ★★☆☆☆ Quite hard to access and the visibility is quite bad especially at the shallow depths. Outside the valley things start to get much more interesting.